Staff and volunteers from the European Foundation of Human Rights (EFHR) office took the morning off on Friday 29 January to visit the Lithuanian Parliament (Seimas) and enjoy a tour of these important buildings. 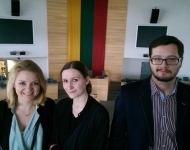 It was the first visit to the Lithuanian Parliament for European Voluntary Service (EVS) volunteers Aneta Maciejewska and Leah Nedahl as well as intern Bartłomiej Derewęda. 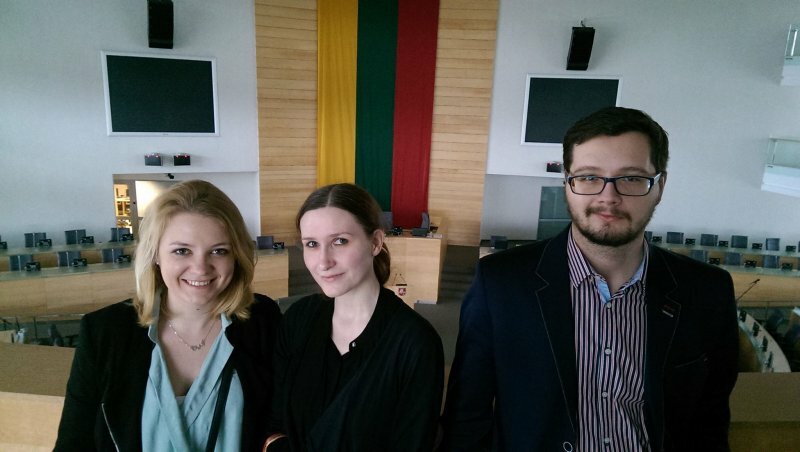 The tour was very interesting and gave our volunteers a great overview of the history of the Seimas as well as the recent history of Lithuania. 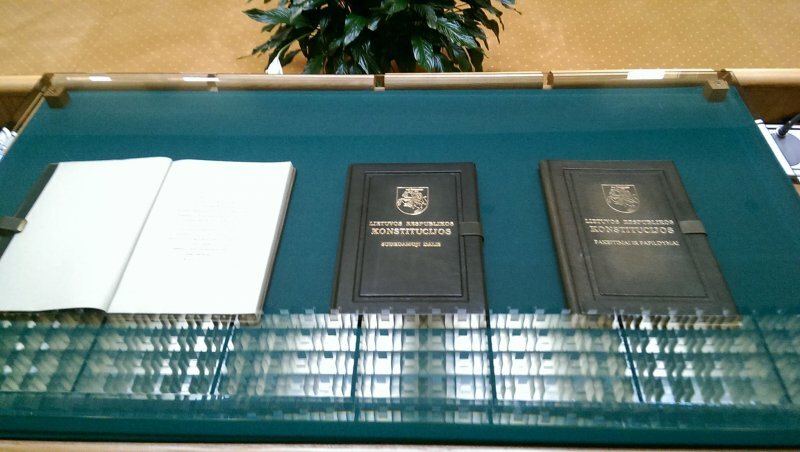 During the tour we looked at the original Constitution from 1992, sat in the Chamber, and learnt more from our excellent tour guide about the history of Lithuania and how the country regained its independence. The trip also coincided with an exhibition to commemorate the 25th Anniversary of the Defence of Vilnius TV Tower. 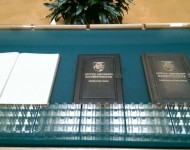 The photo exhibition is to mark the events of 13th of January 1991. 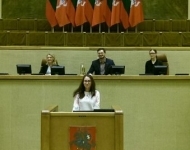 This was not the first time that EFHR staff have enjoyed office field trips. 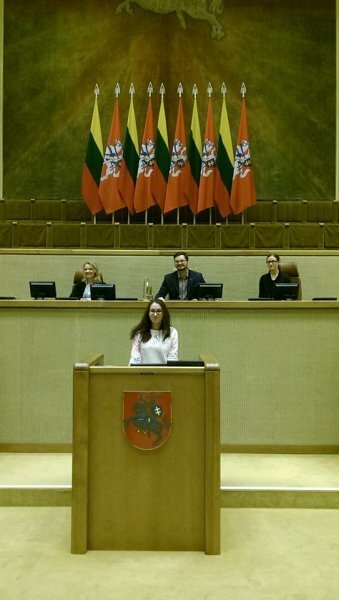 In December we visited the Kurier Wileński newspaper offices and printing press to learn more about the media industry and the history of this important publication, one of the largest and most popular Polish media outlets in Vilnius.